Like clockwork, after 2-3 years, my dad’s duty station was to be reassigned, I had gotten a peek, a taste and a temporary spot in my classroom, neighborhood kick ball team or Dark Shadows Soap Opera buddy. The next best thing was to resign myself to accept the oldest daughter’s calling– Chief of the Ya Ya Sisterhood of the Hall girls. At the next duty station, my sisters were always still on the journey, sharing a bedroom and fighting over the bathroom. Inadvertently, my tribe taught me many life lessons that revealed themselves decades later. Emotional management, selflessness and resilience were among the list. I talked to God, a lot. I talked out loud, with my heart, my tears and my eyes. I danced in the pine clearings in the neighborhood woods. I thanked God for the beauty encircled by Creation and the way it was fearfully and wonderfully made, like me. I loved the simplicity, the complexity, the color, smells and honesty. As Einstein said, “God doesn’t toss dice.” Mother Nature’s Order demonstrated it wonderfully. From childhood to adult responsibilities, I believed my prayers had been best wafted to the heart of God on the wings of a sea breeze. If the only prayer I cast over the Atlantic Ocean’s endless horizon was Thank You, I believe God heard the volume of my heart’s petition. There was a lump in my throat but as a sole tear made a trail down my bowing head, a peace washed over me. Sacred oil being poured on my head, sweetly flowing to the soles of my feet. I stopped what I was doing and closed my eyes, inhaled, exhaled and saw a vision in my mind. There she was, a little blonde girl in a yellow polyester bathing suit, stooping at the edge of the beach surf, sea breeze blowing her long blonde hair in a way I could not see her face, intensely watching little precious clams dig themselves back to safety. She was peaceful and quiet but I felt her joy inside with the simplicity of each time a new wave deposited a new cast of Diggers. She was protecting the little vulnerable sand jewels. Isn’t she cute, pure, loveable? Adorable, I love her! So, do I. And as I saw her hand gently brush the windblown hair from her eyes… I heard a Still Small Voice say, “She’s you”. My cheeks were flooded with salty tears. Liquid prayers of thank You, thank You. I wanted to protect her, hold her, laugh with her, and show her understanding when she needed correction. There was a scar on my heart from years of isolation and this simple vision healed it–forever. I knew what I had been seeking. It was to have and be loved by The Perfect Parent, The Perfect Lover and The Perfect Friend. The Perfect Lover who would not use shame, guilt, neglect or cruelty to get their way. It applied to roles as father, mother, husband, wife, daughter, friend, boss or employee. 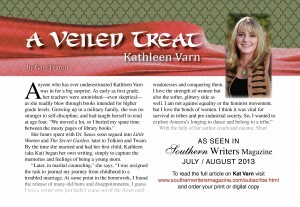 This entry was posted in Ameera Unveiled, Author Notes, Bellydance, Musings and Amusements and tagged Ameera Unveiled, belly dance, BQB Publishing, dance, faith, humor, inner voice, peace, self-improvement, Where Writers Win by KVarn. Bookmark the permalink.